Do I have skin in this game? Yes, my wife’s family lives in Syria. Do they side with Assad and the Syrian Army. Of course, as do all good people in Syria including and especially Christians and Jews who have been protected and have flourished under the Assad’s for over 40 years. 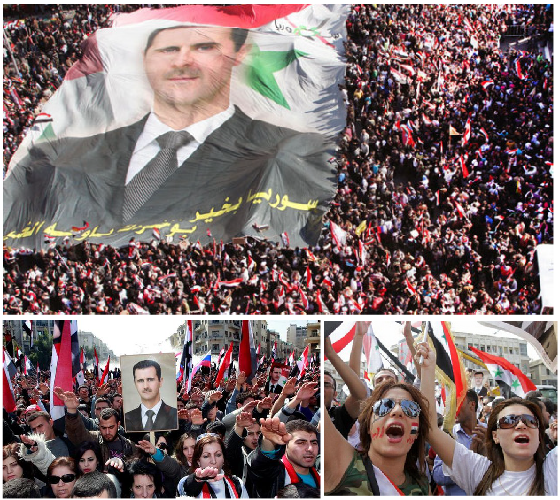 Am I being objective in naming Bashar Assad the world’s greatest leader? That’s your call after reading this post. But anyone who is familiar with this and the GLOOG site knows that titles and positions mean nothing to me unless they are earned. Mother, father, judge, President, boss, preacher, King etc are meaningless unless the person holding the title has proven that he deserves it. One last thing, please permit me. As an American my loyalty will always be here. So please do me a personal favor next time you get up to that podium. You can cite the progress in Syria under your leadership and support it with the facts. You must then ask the American President to offer up his success for the American people under his leadership. Tell Mr. Barack Obama that it is he that should step down and return his country to the people..
2. Since the Islamists started the war in Syria 3 years ago, Assad has been able to not only hold them off but is headed toward final victory IN SPITE of the fact that America and most Western and Muslim countries are supporting the Islamists who want to make Syria into a Sharia state. Unlike Saddam, Gaddafi and Mubarak, Assad is very popular and can count on the support of the people; and that’s why the Islamists have failed to overthrow him. 3. 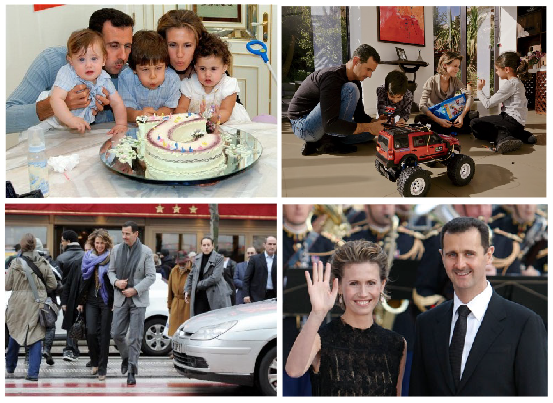 After seeing the fate of Saddam, Gaddafi and Mubarak, Assad, a young man with a young family, had every reason to take his wife and kids and leave Syria and enjoy the life of a king anywhere he wanted. It’s not about me, but about Syria. The situation in Syria worries and saddens me; that’s where my concern is. I am not concerned for myself. 4. Assad has been and still is America’s, and indeed civilized man’s, greatest ally in the war against Islamic terrorism or The War for Civilization. 5. 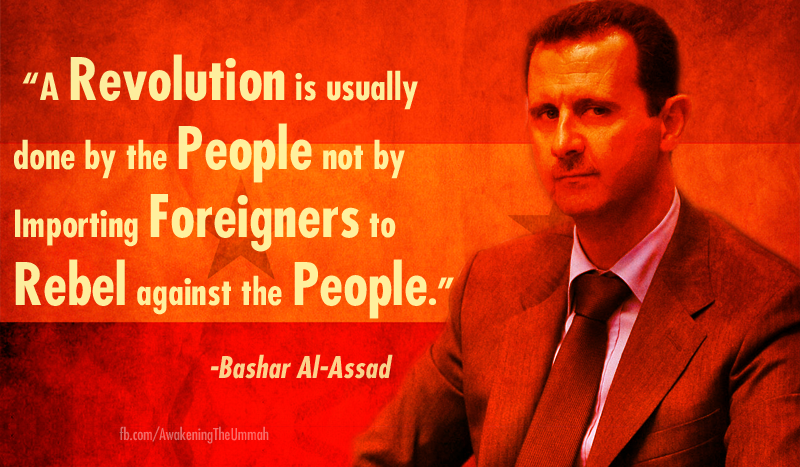 Bashar Assad is the first world leader to have the courage and conviction to actually name Islam as the enemy! Bashar Assad is the first world leader to publicly uncloak the religious disguise that Islam has so brilliantly used for 1400 years. 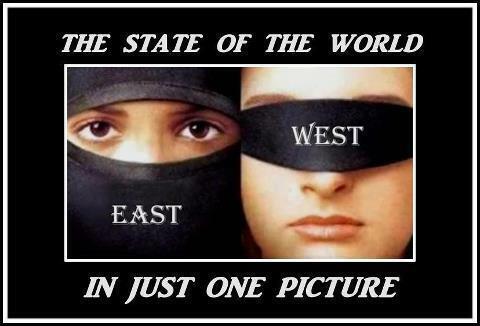 And in a predominately Muslim country! This statement by a leader in a Muslim country is the epitome of courage. For this rare courage on the world stage and all the while confronting the barbarians at the gate and dismissing the powers of America, Europe and the oil rich Gulf countries, he is indeed the bravest of all world leaders. 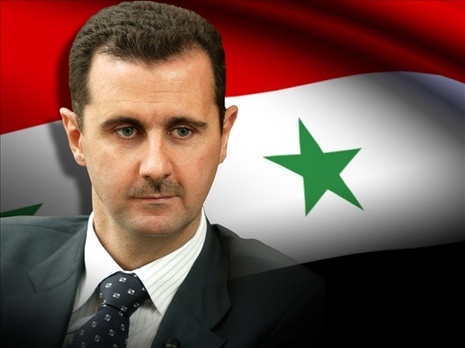 This together with his performance against all odds and dedication to his people as described above, leaves no doubt in this man’s mind that Bashar al-Assad is indeed The Greatest Leader in The World Today. PS: It’s surely ironic. When Bashar Assad took over in 2000, I told my wife that it was ridiculous. First of all no one should just inherit a country. Secondly, he just didn’t look the part or anything like a strong leader should. Well Mr. Assad, I was wrong and I should have remembered the old adage ‘you can’t tell a book by it’s cover.’ Thank You for proving me wrong. 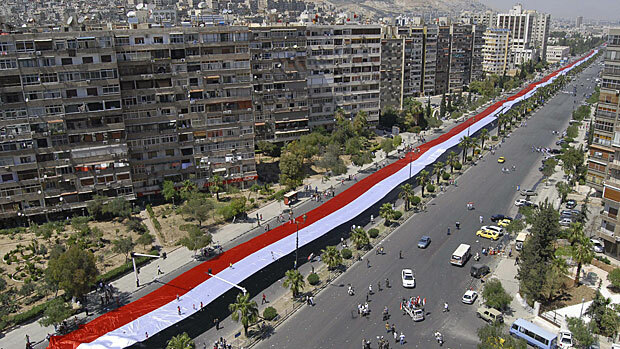 My ego holds no candle to the welfare of the Syrian people that I so admire.